Strictly picked by hand, all of our materials including BPA free ABS coating, nylon strap and non-rust zinc alloy are non-toxic, no smell and can follow US/JP/EU quality standards. Our products are all tested by ISO 9001. Metal parts and nylon leash are at least 4 times stronger than normal designs.Consistent control and durable use are our basic promise for every customer. "No more limited moving angle" and "let dog to be dog" inspired us a lot to develop a free angle design for our beloved pets. All of our designs can let dog move smoothly without limited exploration. Anti-slip soft handle can help you always stay in control. It's convenient to use our portable design as well. Pets need to be walked no matter in winter or summer, but normal leashes could not be used in extreme weather because of the materials. Our design with specially customized materials is suitable for walking your dog in winter, which can work smoothly and perform great safe function. 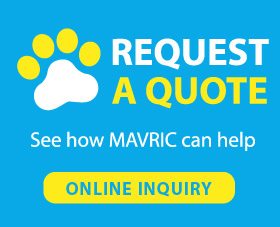 -Mavric, a professional pet products manufacturer, offers all kinds of designer dog collars leashes. 1 year warranty is offered by us. If you have any question about pets or products, please feel free to contact with us. 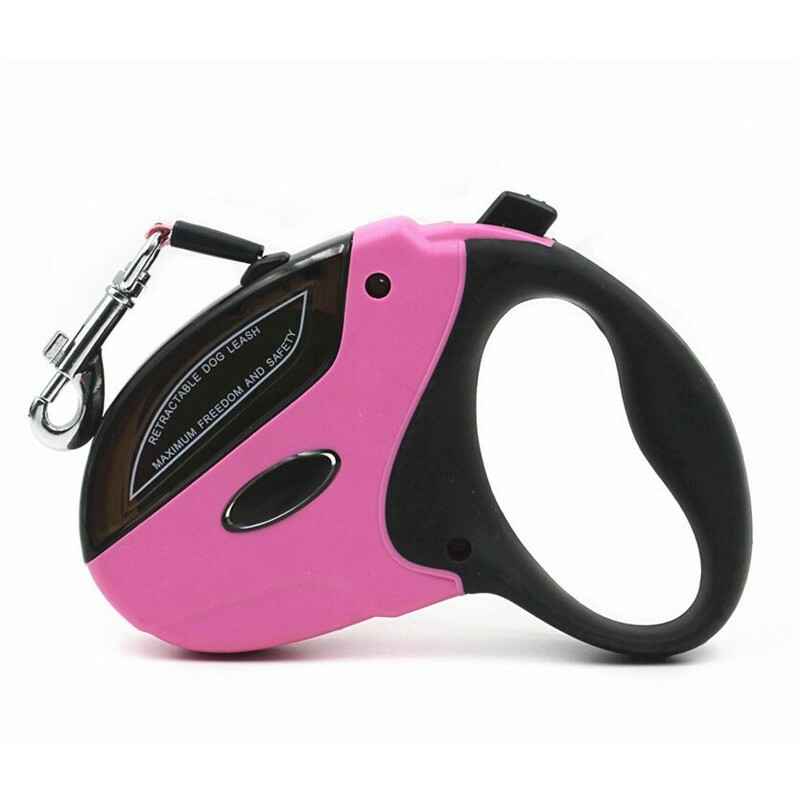 When your pooch pulls the leash, you could not pull it back or drag your puppy along with, which is the first way many people will use but that is really a bad idea, because that will make your pets feel upset and won’t like to go out with you anymore, besides, pulling your dog back will be very likely to hurt it as well. The only thing you need to do is doing nothing, just stand there and do not move until your furry friend come back to you. What an easy way to solve the pulling problem! Try with your pets in next walking! The leash is bigger than I expected. It first I thought it was going to be a problem, but once I used it my mind changed. The handle if very comfortable. Heavy duty has been put to the test with my strong and fast running dog. It was a great purchase! It is strong and of good quality! Love it! I would recommend it to anyone. I think it is a little heavy but it's worth it. Smooth & quick extension & retraction unlikemy last one which cranked away & took a long time to retract, which could be dangerous if my pooch needs to be reeled in asap. I'd give it 5 stars but it's too early to tell. My 30 pound dog's last 3 retractable leashes have not lasted more than 2 months (she tends to pull a lot & I walk her a lot each day). I've only used this one for 2 weeks but so far so good. Let's hope it lasts. Best leash I've ever owned! I have a yellow lab that pulls constantly. This leash allows me better control of her pulling. It is sturdy and quick when I need to real her in. Would totally recommend to anyone who needs an excellent retractable leash!